[SIC] includes public domain works published under Davis Schneiderman’s name, including everything from the prologue to The Canterbury Tales to Wikipedia pages to genetic codes, along with a transformation of the Jorge Luis Borges story: “Pierre Menard, Author of Don Quixote.” [SIC] is part of DEAD/BOOKS trilogy of conceptual works by Davis Schneiderman from Jaded Ibis Press. Other books in the trilogy are BLANK (2011), and INK (2015). 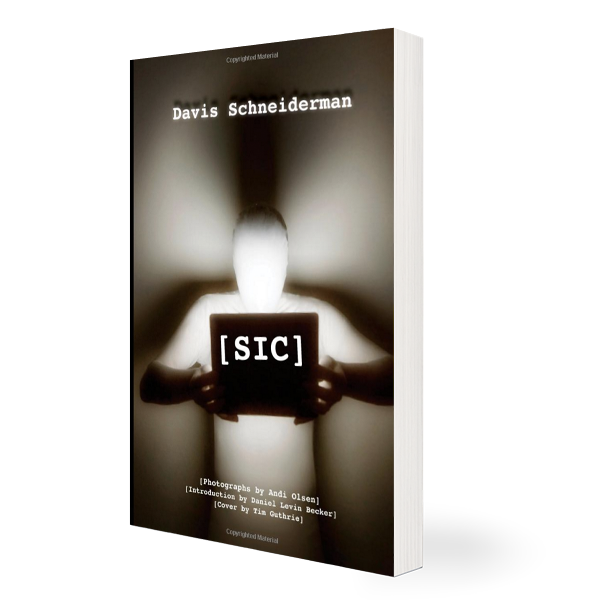 Davis Schneiderman is a multimedia artist and writer and the author or editor of ten print and audio works, including the novels Drain (TriQuarterly/Northwestern), Multifesto: A Henri d’Mescan Remix (Sputyen Duyvil), and the DEAD/BOOKS trilogy: BLANK, [SIC], and INK. (Jaded Ibis); and the co-edited collections Retaking the Universe: Williams S. Burroughs in the Age of Globalization (Pluto) and The Exquisite Corpse: Chance and Collaboration in Surrealism’s Parlor Game (Nebraska). 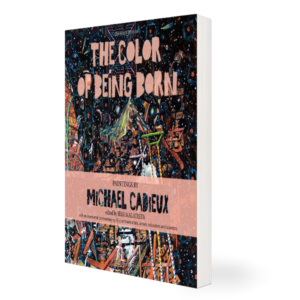 He blogs for The Huffington Post, and his work has appeared in numerous publications including Fiction International, The Chicago Tribune, The Iowa Review, TriQuarterly, and Exquisite Corpse. He is a professor Lake Forest College, Director of Lake Forest College Press/&NOW Books, and he edits The &NOW AWARDS: The Best Innovative Writing.